Southfield, MI (April 24, 2013) - "Soulful Living with Teri Williams," the weekly program dedicated to helping listeners live more joyful and fulfilling lives, debuts on Empower Radio at noon (ET) on Monday, April 29. The weekly 30-minute show features inspirational stories and motivating guests who are committed to living a soulful life. "As a shamanic and energy work practitioner it is my belief that the road to bliss starts with tuning into and healing our soul"Williams, a Reiki Master and shamanic practitioner, has been the host of "Welcome to Blissville," on Empower Radio since 2010, and views her new program not as a replacement but as a compliment to the beloved program as "Soulful Living with Teri Williams" takes over her established timeslot. "As a shamanic and energy work practitioner it is my belief that the road to bliss starts with tuning into and healing our soul," says Williams. "We can do that in many different ways -- through mediation, mindfulness, soul retrievals, healthy eating, exercise, and being in nature; the list is endless. We also need to establish deeper connections, both personally and professionally, to people, animals and the earth." "Just prior to joining Empower I was asked by two other networks to become part of their line up of hosts. I chose Empower because I loved the message and format. "Through Empower Radio, Williams hopes to offer listeners the opportunity to hear from guests that are practicing Soulful Living through their teachings, their work and their experiences. The journey will bring enlightenment, as well as education. "I have been with Empower Radio for 2½ years," adds Williams. "Just prior to joining Empower I was asked by two other networks to become part of their line up of hosts. I chose Empower because I loved the message and format. We provide incredible content that can be accessed anywhere, anytime. The guests and features across the network are absolutely amazing, many of who are real people like you and me." April 29: Guest is Ellen Kanner, author of Feeding the Hungry Ghost: Life, Faith and What to Eat for Dinner. The show will address how every meal feeds the body and soul. May 6: Guest is Shann Vander Leek -- coach, speaker, and author of the Transformation Goddess Signature Coaching System. The show will address how listeners can orchestrate a lasting change and make a difference in the world. May 13: Guest is Arielle Ford, speaker, expert and author of The Soulmate Secret. The show addresses soulmates -- how to manifest your soulmate or turn your mate into your soulmate. 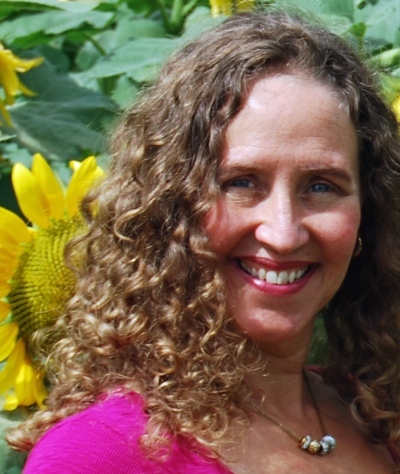 May 20: Guest is Devi Ward, Tantra educator and author of Shake Your Soul-Song! A Woman's Guide To Self-Empowerment Through The Art Of Self-Pleasure. The show will address profound life-transformation in the areas ofsexuality, spirituality & sensual self-expression. May 27: Guest is Susan Pease Banitt, a post-traumatic stress disorder (PTSD) specialist and author of The Trauma Toolkit: Healing PTSD from the Inside Out. The show will address fundamental techniques for healing the soul in the wake of a traumatic event. Teri Williams, "The Bliss Lady," experienced an incredible shift when one of her children was injured in an accident 20-plus years ago. Shortly after, she was introduced to the power of energy work and metaphysics. She began learning new ways to move through the world and incorporated those new tools into her life, personally and professionally. Williams has spent years in PR, Marketing, Social Media and Web Design consulting with small businesses on how to expand with their online presence. Some clients describe her as a "Shaman for business". She also works as a Reiki Master and Shamanic Practitioner assisting others release and shift that which no longer serves their highest good. Her clients say she is an extremely talented practitioner, professional, caring and gifted. She describes her work as Soul-cial Media and Soul-cial Living. Her high energy she is contagious - catch it today. For more information about Williams, visit TeriGriffinWilliams.com or SimpleSoulfulLiving.com.